The Delhi High Court Division Bench comprising Chief Justice G.Rohini and Justice Jayant Nath yesterday disposed off the petition seeking stay on the release of Boman Irani, Veer Das-starrer 'Santa Banta Pvt. Ltd' and directed the Central Board of Film Certification(CBFC) to treat the petition as a representation. The PIL filed by Delhi Sikh Gurdwara Management Committee alleged that the movie was projecting the personality of Sikh community in defamatory and denigrating manner, which could cause "disturbance" in the society. A direction was sought to cancel the certificate ‘U/A’ granted to the said film by the Central Board of Film Certification. On the basis of the posters of the film as well as the trailor of the film which has been released on the internet, it is alleged by the petitioners that the film is based on the Sikh characters who are being portrayed as clowns and that the film is nothing but an attempt to portray the Sikh community as a laughing stock to the world at large. Contending that the release of the film would affect the interest of Sikh community, the petitioners, prayed for a direction to ban the release of the film in question. Shri. A.P.S. Ahluwalia, the Senior Counsel who appeared for the petitioners contended that he film in question attempts to project the Sikh community in a derogatory manner and violates the equal rights and status guaranteed under the Constitution of India. The government and the Censor Board told the court that there is nothing objectionable in the movie, which makes fun of the Sikh community. 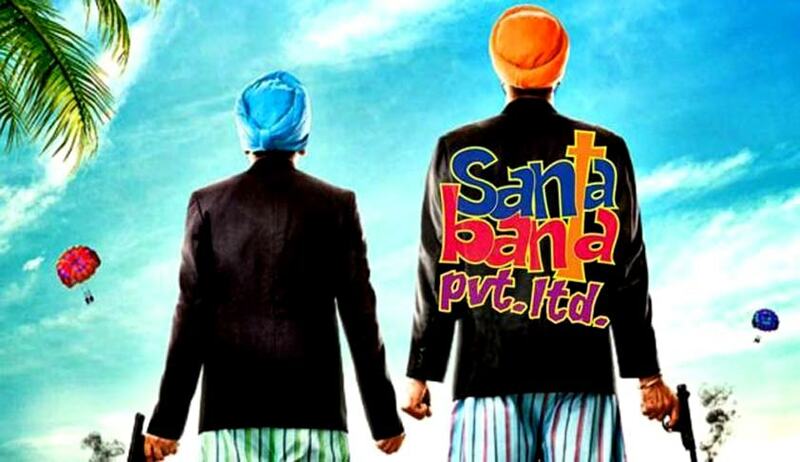 'Santa Banta Pvt Ltd' producers and director were against any reconsideration of the certificate by the government or any such direction by the court, saying this would amount to questioning the board's decision, which took a call after seeing the movie. They even added that the petitioners objected even before watching the movie. Though a CD of the film in question was made available to the court the court considered it appropriate to direct the CBFC, which is a statutory body of experts, to consider the tenability of the objections raised by the petitioners, instead of the Court viewing the film and deciding the question as to whether the contents of the film would prejudicially affect the rights of the Sikh community or not. The film is scheduled to be released on 22.04.2016.